A screen-shot of the application is shown below. 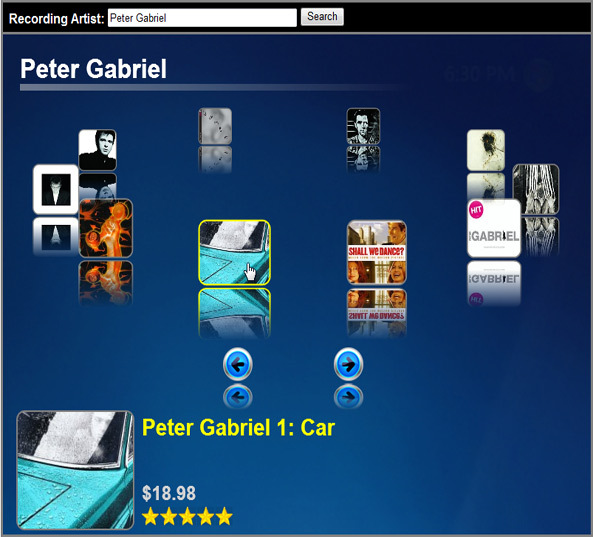 It allows a user to type in a recording artist and then returns albums associated with the artist from Amazon.com and displays them in a nice 3D-style view. Originally I was going to lay the albums out on the screen in a 2D grid format but after seeing the excellent videos on Flash programming from Lee Brimelow I decided to go with the carousel approach he put together for Flash. A video of the application in action as well as a "nutshell" version of how it works can be viewed at the link below. The code can be downloaded here. To run the application you'll need .NET 2.0, ASP.NET AJAX (final release) and the Silverlight viewer.